Shop floor is a part of machine-tool industries. Every shop floor is different. The type of shop floor entirely depends upon kind of product manufactured, the way a process is executed or the type of machinery used. 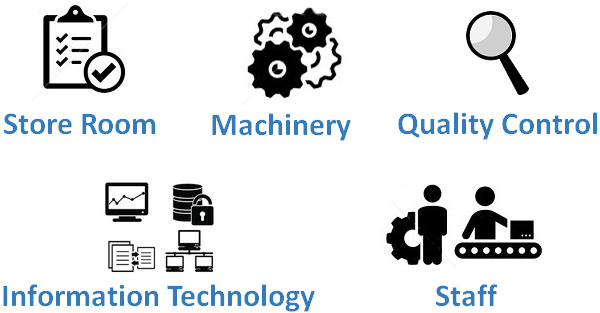 These production types are classified as per the industry classification in various countries. Let us understand in detail some more things about the type of productions and the type of shop floors. To see what all types of products are typically produced, let us first understand the types of industries creating those products. 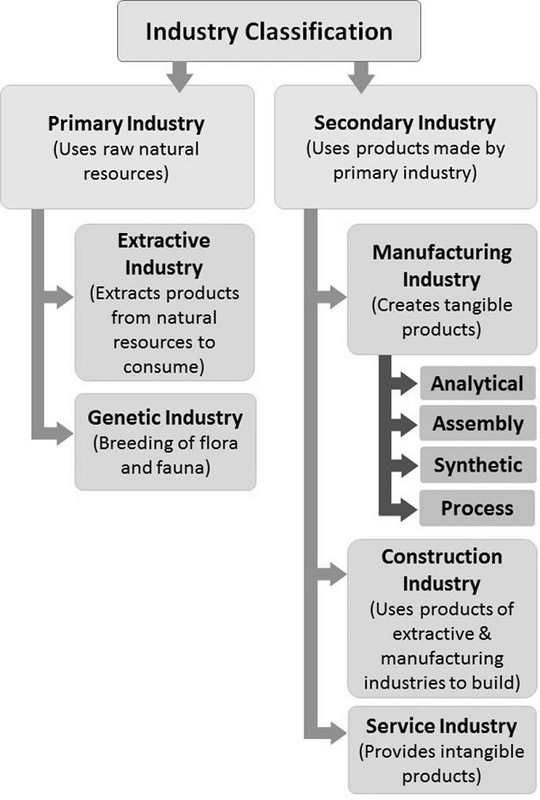 The industries are classified into Primary and Secondary. Extracting − These industries involve extracting minerals, water and drawing out different types of products from Earth, Forests and the Oceans. For example, Agriculture, Mining, Lumbering are the businesses belonging to the extracting industry. Genetic − These include businesses working in multiplying animals and plants. Animal husbandries, plant nurseries, fish farming, poultry are some examples of businesses belonging to the genetic industry. Manufacturing − They use raw material or semi-finished products to transform them into fine products. Analytical − A raw material is analyzed and separated. Assembly − Various components are joined together to create a fine product. Synthetic − Multiple raw products are combined to make a new product. Process − The raw material is passed through various stages to create a product. Construction − They use products of primary as well as secondary industries to construct infrastructure. Service − These industries do not manufacture any tangible product, but they work on providing intangible products such as experience and satisfaction. From the industry classification diagram, it is seen that not all industries have shop floors. The work of extraction, genetic and construction industries goes on the sites. The service industry does not have a specific work area; because a service providing business can be executed from a house or can be in the airlines too. It is the manufacturing industry which has a shop floor as an important part of its execution. Mass Production − Mass production involves manufacturing of the standardized products efficiently in large quantities. This is also called as flow production or continuous production. The shop floors for mass production are equipped with assembly lines, machinery and power at a large scale. For example − Fast Food Manufacturing. The food items are produced in large numbers, where the cost of manufacturing a single product is very less. Scant Production − It involves creating the product in a sufficient number. It is also called small-volume production. For example, production of pure platinum. Assembly − On this shop floor, the components are assembled to manufacture a product. These components are already manufactured and can be directly employed as a part of another product. These type of shop floors have assembly lines and a linear movement of the product. The workers stand in that order and perform operation on the product. For example, Car manufacturing, electric or electronic equipment manufacturing shop floors. Analytical Process − It involves breaking of a basic raw material into components, which can be used independently. For example, a refinery breaks down crude oil to get aviation fuel, gasoline, diesel, and petroleum wax. Synthetic Process − It involves using various raw materials or other products to manufacture a good quality product. For example, Shampoo, paints and various cosmetic products manufacturing. Processing − As the name suggests, it involves processing of raw or semi-raw materials through various stages to manufacture a superior product. The material changes its form and appearance while undergoing processing. The processing shop floor contains heavy machinery and expert workers at each stage. For example, textile and cheese manufacturing shop floors. This perspective of looking at a shop floor tells us about how the machinery is laid out on the shop floor. Job Shop − A job shop is nothing but a processing center. In this type of a shop floor, the tools and machinery is placed as per the type of jobs the expert workers need to perform. The products become finer by going through various job shops. There are multiple jobs done at a job shop and then the product moves ahead to the next job shop. Hence, the sequence of product movement and tracking of progress are vital on this kind of a shop floor. Flow Shop − It is the site where machinery and equipment are placed by the order of processing the product. The product is seen gradually taking shape from where it started till it takes the final shape and is ready. Estimation of product volume is important on these shop floors. If the volume is changed, it is difficult to respond to it and keep the workers’ motivation. In the next chapter, we will discuss regarding the different types of shop floor layouts. Shop floor is the production area of any manufacturing facility, which is typically located separately from the main management office of that business. There are no standard or generic shop floor layouts. These layouts are different for every manufacturing, assembling or processing facilities. Various types of products or the processes decide the layout of the shop floor. Let us know more in detail about the considerations of a shop floor layout. The shop floor should be located separately within the proximity of the design, engineering and production departments of the manufacturing business. This enables the staff to access the shop floor conveniently. The built-up or open space for ancillary devices that cannot be installed inside the work area of the shop floor for safety purpose. Cabling, hosing, fans and ACs with their respective electrical connections. Safety devices such as fire extinguishers, etc. This facility can also have eating establishments, restrooms, smoking area, etc. Air ventilation in the work area. System to dispose solid and liquid waste. System for readiness to any fire hazard. System to provide first aid and tackle medical emergencies. Housekeeping for clean and neat shop floor. What is a Shop Floor Layout? The primary objective of a layout is to demark the entire shop floor area as per the tasks which are done there. Along with demarking, the layout should help in making it simpler for the workers to locate machines, tools, equipment and other staff on the shop floor. The following illustration is how a shop floor is generally laid out. Why Do I Need a Proper Layout of a Shop Floor? Layout influences the productivity of the workers. It helps to maximize the use of tools and machines. It decreases the loss of property because of undue handling of tools and machines. It minimizes health hazards and material handling. It maximizes the utilization of space. It maximizes the inventory control of the shop floor. The number of staff and workers. The number of machines and their respective sizes. Scope, size, and sequence of production. The number of tables, cabins and work-benches required on the shop floor. Floor space for placing worker’s tools and personal articles such as helmets, uniform and goggles. Adjacent facilities such as eating spaces, restrooms, smoking areas, which greatly impact the work performance of the workers. Adequate space and pathways to the facilities, entry and exit routes to the work area. Additional place for new machines, product design or increased volume of production. Product or Assembly Oriented Layout − This layout is designed in a linear fashion. The work stations or work benches are located in a sequence where products manufacturing is carried out one step after the other. This layout is excellent for the mass production. If there is a demand to change the product design or appearance, then this layout cannot address the demand smoothly. Process Oriented Layout − A group of machines and tools that perform similar or all functions required to complete a single stage in a process are placed together in this layout. This layout permits the flexibility to manufacture different products at the same time. Its design needs careful study of production planning and material handling sequence. A shop floor inventory aims to minimize the average cost as per the time as well as satisfy the demand of a product. The cost of keeping inventory per year is about 20% to 30% of its original cost, hence it is good for the shop floor managers to keep the inventory as less as possible. Ideally, there should be zero inventory. Stock turn over − It should be performed at least four times a year. Stocking − Little extra stocking of the material caters the unexpected demand of the product. Sequence − The flow of material within the shop floor. The sequence should be as short as possible. This equipment helps the workers make the best of products. They make the manufacturing efficient and increase productivity. The equipment can be purchased or leased depending on the length of time and the activities it will contribute. The shop floor should accommodate the necessary equipment smoothly. Depending on the type of shop floor layout, the number of work stations vary. Industrial work stations include work benches, desks, testing and assembly work benches, technician’s and computer work benches to name a few. They also include conveyer belts and work stands. This is required to keep the raw material as well as to keep the finished products. The space also includes lockers, racks and shelves. The storage space must be adequate for the staff to move around. It should permit to place the loose property safe and organized. The workers should be provided with various necessities such as cafeteria, rest rooms, first aid, and smoking area. These facilities impact directly on the performance of the staff on the job. These facilities should be set up at appropriate locations with adequate space, so that they do not interfere the usual manufacturing work flow. The facilities for workers and other staff members are set as per the industry standards. The objective of a process flow management on the shop floor is to support consistent development of procedures while developing a product. The shop floor processes include manufacturing, assembling and processing the products along with controlling the tasks associated with it. Let us now understand each of them in detail. This type of production is also called as Mass Production. In this production type, same or similar products are manufactured in large number over a length of time. The product manufacturing has a predefined sequence, which needs to be followed exactly as it is. The routing of repetitive production is also linear and simple. The cost of production is observed as per the time spent on it and production is controlled based on the length of time. For example: Manufacturing of soap bars. In this type of production, specialized products are manufactured on demand. Tailor made articles, custom built machines are manufactured in discrete production. The sequence of operations and workstations is variable. Production is controlled based on the demand. The cost of production is calculated at the time of reception of order; not as per the time spent. The resulting products are individually identifiable and different from the process manufacturing products. For example: Manufacturing of smartphones, computers, etc. In this production type, the raw material are the products which undergo different phases. For example: Chemical, Pharmaceutical, Food and Beverages, etc. fall under the process type of production method. Batch Process − In this process, bulk of the material in batches is processed. One batch of a limited number of items or quantity is processed at a time. Till the current batch of material is finished its processing, the other batches need to wait. Continuous Process − It involves continual processing of the material to create a product. It saves waste, energy and costs. It adapts itself to customer needs more effectively and smoothly. Standard Assembly − It is a semi-automated assembly line. The products-in-manufacturing are placed on the line. The workers and equipment remain stationery on either side of the line to work on the product and the product moves through the line from start to end, often called as a cycle. Modular Assembly − It involves advanced assembly lines working in parallel and meeting at the final assembly line. These assembly lines achieve parallelism in manufacturing to some extent. They are expensive, but save a lot of time. 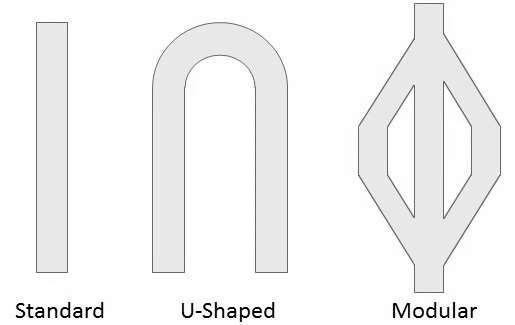 U-Shaped Assembly − This is a line with a curve along which the workers stand and machines work on the product-in-manufacturing. It provides better communication among the workers. They can also see what is coming to them at what speed. This assembly line enables to produce products with variable designs simultaneously. The following type of joints decide the type of assembly. Hardware Assembly − It uses hardware or fasteners such as screws, nuts, and bolts to join various parts together. It allows flexibility to remove the parts or change them. For example, motor chassis assembly. Welding Assembly − Multiple metal parts are joined together, which appears as one part after welding. It is a permanent assembly. For example, wrought iron based furniture assembly. Soldering Assembly − It uses a filling metal, which is melted to a certain temperature by heating. This metal is used to bind two components together. For example, soldering of electronic parts and jewelry. 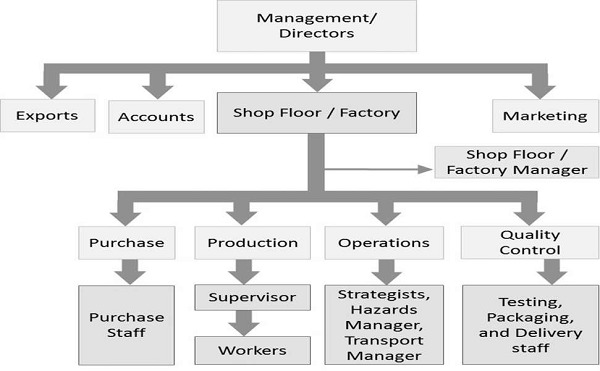 As per Jeffrey Liker, the author of “The Toyota Way”, the 4P process model of shop floor can be viewed as shown below. 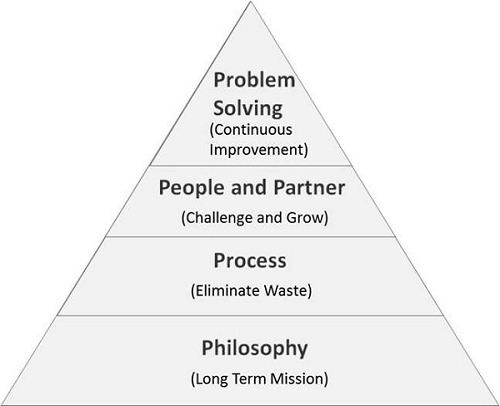 The lowest level Philosophy pertains to the long term thinking such as a mission to contribute to the growth of employees, organization and to the economy. The second level Process is concerned to improved processes by reducing machine downtime, removing waste and increasing the overall productivity at the shop floor through efficient processing practices. The third level People and Partner mainly investing resources in people who work for the business such as employees, suppliers and partners for the growth of the business. Since shop floor management concerns with finding a solution to the real-time problems and incidences, problem solving is located at the highest level. Problem solving is a continual part of shop floor management to ensure that there are no breaks in production. What Happens on the Shop Floor? Depending on the volume of production a business handles, a single work order or batches of work orders are created. The work orders are then released to the floor. The material is issued as per the requirement. Purchase requisitions are generated for out of stock material. Purchase order receipts are recorded. Labor working hours are recorded. Soft or hard copies of reports are generated for management review. In the next chapter, we will understand in detail regarding Shop Floor Management Setup. Management is doing things right. Leadership is doing right things. A neatly setup and well-organized shop floor can be easy to manage. It saves time and efforts because the workers find their tools at a proper place, equipments are in a healthy condition, floor space is clean from oil, dust or grease, and the shop floor control systems are perfectly tuned to the production operations. Neatness and orderliness on the shop floor leads to happy workers and supervisors, which generates increased productivity. In addition, it sends a message about product quality to the clients and the customers. What is Shop Floor Management Setup? The shop floor set up includes setting up machines, assembly lines, tools, storage area, scheduling of operations and setting up control system that records the processes. Machines and equipment are arranged for optimum work flow. Space between machines is kept adequate so that there would be minimum conveying, minimal waste with maximum safety. The loose tools should be placed in the area which is specially allocated for tools, so that they do not go missing. The tools are also arranged as per their size and other conventions, then it is easy to find out a missing tool faster. This type of assembly line should be wisely selected depending on the type of production. The production line processes are closely observed to simplify complicated processes and remove unnecessary processes. The area around the assembly line is kept adequate for the movement of workers, inventory and equipment. Since the shop floor works 24X7 in three shifts, scheduling is vital for a seamless production process. The scheduling of operations includes machine scheduling such as single and parallel machines, job scheduling that requires to schedule the jobs as per their level of urgency and scheduling of workers and staff as per their availability. The storage area of the shop floor stores raw material, the intermediate material and the inventory. The storage of inventory should be well organized and well-documented. The material of the same type should be grouped together. The material required for the same process or task should be placed together. The ready product should be placed on the racks or in cabinets. The track of the material and the ready products should be recorded. Let us now understand the difference between a work and a resource center. 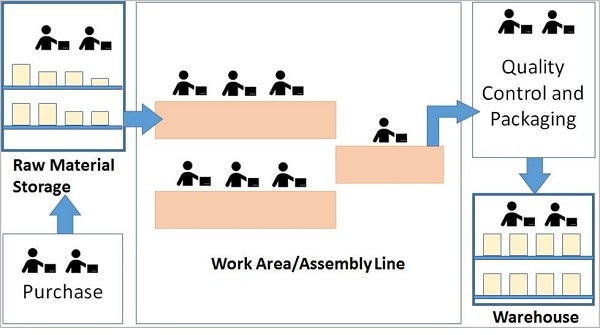 A Work center is a section of production line where the workers carry out manufacturing activities or all the tasks associated with a single process. For example, the car production line would have multiple work centers such as welding, fixing, gear-box and painting. Each work center has skilled workers, equipment, raw material and work area allotted to it. The work centers are expected to perform various work associated to a single type of task or a process. A resource center provides information on the business, flagship product and other product variants, brand and other activities. It keeps a collection of online product catalogues, instruction manuals, user guides and details of a product dealer. The resource center also publishes news and white papers. Let us now discuss them in detail for better understanding. Directly manage all the resources at hand. Gemba walk: Managers walking on the shop floor for monitoring if everything is going on smoothly or not, increases the morale and safety of workers and in turn the productivity. Practical problem solving and taking corrective action on faulty machines. Housekeeping for cleanliness and orderliness. Addressing current problems, anticipating any future problem related to processes, activities, methods, machines and workers. Taking preventive measures on the potential upcoming problems to avoid loss of time and safety. Continually updating self on knowledge about new machines, tools and techniques for improvement of the shop floor is essential. Notifying and discussing with the higher management about any major change if required on the shop floor. Keeping liaison with workers, subordinates and suppliers. In the next chapter, we will discuss in detail about Shop Floor Control. Humans are the worst control system to put in front of a car. Shop floor control has a crucial role on the shop floor as it enables the management to see what is happening in real time. Shop floor control is necessary for any manufacturing, assembling or processing business. Shop floor control systems can increase the productivity substantially and in turn the ROI of the enterprise. What is SFC and SFCS? Let us now understand in detail about Shop Floor Control (SFC) and the Shop Floor Control System (SFCS). It is a system that has methods and tools, which are used to track, schedule and report progress of the work in a manufacturing unit. The better the shop floor control, the better the inventory and operations control, and the better is the productivity of the workers. Performance and ROI of a manufacturing business varies directly in proportion to the shop floor control. It is a software system used to track, streamline and report the work progress in a manufacturing unit. SFCS can evaluate a portion of an order or an operation that has been completed. It provides the insight into the work in process. 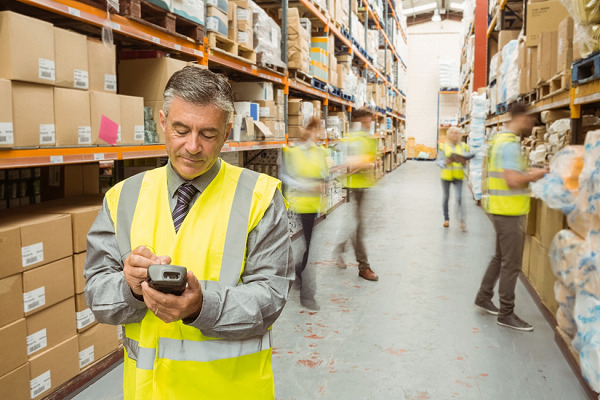 These insights are useful for planning the resources, evaluating the inventory, and increasing the staff productivity on a shop floor. JD Edwards World Shop Floor Control system. Let us now discuss the Objectives and the Benefits of the Shop Floor Control Systems. To provide total control over shop floor activities, inventory and resources. To streamline the operations and reduce production cycle times. To provide real time data related to activities, inventory and resources. To provide accurate updates on machine usage, man hours for each staff member, payroll calculations and timely alerts to potential problems. It provides total visibility to what happens on the shop floor. The supervisors and managers find themselves empowered as the SFCS facilitates them to monitor complete range of operations and activities carried out on the shop floor. It alerts the staff member regarding any upcoming problem beforehand to limit or eliminate the loss of property or time. It provides real time data, which is quantifiable and actionable. It provides planning and scheduling of shop floor operations thereby increasing efficiency of workers. It eliminates the errors in calculations machine time, man hours, worker payrolls and much more. It reveals operational vulnerabilities and staff as well as resource related problems and helps to address them in time. It makes decision making easy for the management by providing reports. It drives the ROI of a manufacturing business. Communication − Exchange of messages within the SFCS. Data Management − Storing, Rewriting, Deleting, appending and Recording the real-time data. Processing − Accessing data and processing it for quantifiable readings and calculations. User Interface − Easy to learn, user friendly, clear instructions and notifications with touchscreen UI that speeds up the tasks. Flexibility − The SFCS should accommodate changes in volume of product or the product itself. Inter-operability − The SFCS should be coherent enough to work on various hardware and software platforms. Portability − The SFCS should be able to work cross-platform. If it is working on a certain hardware platform and operating system, then it should also work on another hardware platform and operating system, which can be achieved by standard programming language and standard operating system calls. In the next chapter, we will discuss in detail what Shop Floor Control is. The art of effective listening to clear communication, and clear communication is necessary to management success. Mistakes and errors due to lack of clear communication can turn out expensive on the shop floor. Poor communication also leads to wastage of man hours, machine time and above all the efforts. The communication gaps should be ideally zero on the shop floor as communication plays an important role in obtaining high operational performance and quality management. Why Does Shop Floor Communication Matter? The workers and other staff members on the shop floor work in a cooperative environment of humans and machines. Thus, the staff not only exchanges the information, but also their feelings. The tasks on the shop floor majorly require a collective effort of the manager, supervisor, the workers and machinery. Hence clear communication and accessing is a much-required information which is important among them. In addition to all the above-mentioned factors, poor communication on the shop floor can lead to loss of business property, efforts and time. It can also lead to the loss of future business. Considering all these risks, it is certain that the communication on the shop floor matters. Machine to Machine (M2M) − It is provided by automation controllers to enable efficient process execution at machine level. In this type of communication, the devices communicate directly to each other using wired or wireless communication channel and dedicated protocols. Sensors and relays, database, application software and network enables this sort of communication. Latest M2M communication systems also transmits data to the personal mobile devices of the managing staff. Machine to Business (M2B) or Machine to Enterprise (M2E) − It is provided by automation controllers to enable efficient process execution at management or enterprise level. In this case, the application software at the vendor side accesses shop floor data stored on the database without getting into the complex shop floor processes. Find out time for Gemba walk, regardless of all other numerous activities. Remain accessible and reachable for the subordinates. Visit the work stations and assembly lines to observe what is happening in real. Bring the staff members to speak about their problems. Build trust of workers and other staff members. Double the listening time with respect to the talking time and show genuine interest in what they talk. Study others’ body language; gestures and expressions because even if a person stops talking, he cannot stop behaving. Be cordial to the staff members and workers. Train the workers and other staff members regularly to let them learn changes in technology, processes, and the work environment. Meet the subordinates weekly for some time for informing updates, discussing issues and brainstorming. Treating other staff members respectfully. Not looking them down upon irrespective of their junior rank. Announcing regular or special visits. Keeping the hands out of pockets always while Gemba walking. Attending genuinely and empathetically to what subordinates say. Letting the subordinates know that their input to management is valuable. Understanding the local and the official language, and their uses as per the requirement. Returning telephone calls and emails as soon as possible for complete communication. Speaking clearly and if required a little loudly to be audible in the shop floor’s noisy environment. Appreciating the workers and subordinates in work for their ideas and hard work. Removing friction among workers and other staff members by allowing them to access the right information. Thanking the staff, wishing them good day and showing gratitude for their patience and cooperation through some special visits. Not belittling someone’s suggestions or opinions. Not drinking or eating while on the shop floor. Not touching anything unless the manager knows what he/she is doing. Not interfering the ongoing task. Not overshadowing the operations taking place due to your presence. Not taking pictures or videos without permission of higher authorities or without prior notice to the shop floor personnel. Arriving at the shop floor on time and sober. Wearing safety equipment while being on the job. Keeping the shop floor tools, equipment, and other property at the dedicated area before leaving the shop floor. Not wearing lose garments for safety purpose. Not bringing drinks or food on the shop floor. Not chewing gum or tobacco on the shop floor. Not taking any mobile property on the shop floor without permission of the concerned authorities. It is an open-source royalty-free manufacturing protocol designed to connect manufacturing equipment on the shop floor to the outside world easily. It uses well-established Internet standards such as HTTP and XML. It creates shop floor documents and reports automatically in HTML and PDF formats during simulation. The 3D reviewer tool of this is very helpful while communicating on the shop floor as well as with the vendors and customers. It provides a direct connection to each machine in the shop. It has elegant touchscreen easy user interface. The shop floor operators can access data directly by locating the correct data files required for production such as CNC programs, lists of tools and drawings. In a balanced organization, working towards a common goal, there is success. A shop floor is a small organization within a large one. It is a subset of the business enterprise where all the tangible production takes place. Within a shop floor there are various smaller departments, operations and responsibilities. Let us now discuss in detail about each of these departments. It is responsible for recognizing the need to purchase, receiving quotes or proposals and procuring the required material. Purchasing department determines the vendor’s compliance, deals with suppliers and assesses incoming material’s cost and quality. It finally deals with the accounts department for actual purchase. Pre-production − Preparing the material for use by inspecting, curing or cleaning. Production − Using the material for actual production/assembly/processing. Post-production − Sorting the finished products as per the types/variants and packaging them. Production department is responsible for creating/building products with different variants if required. It also strives to manufacture or assemble with ideally zero flaws. This department is responsible for directing and developing. It determines processes and product volume, plans and controls shop floor workflow and steers the shop floor operations. It is also responsible for delivering results without time delays. It is responsible for testing the product against criteria set for optimum quality. It ensures that the product is not contaminated or damaged. It approves or rejects raw material, finished product or packaging material. It reviews all records for quality and completeness of order before sending to dispatch or distribution. This department investigates the customers’ complaints and maintains a rapport with the vendors. Let us now understand what are the roles and responsibilities of each of these personnel. The manager is responsible to manage staff and resources on the shop floor. He is also responsible for training the new employees and subordinates, introducing them to the work culture and solving their work-related problems. The shop floor manager needs to work hand in hand with the production manager. The supervisor is responsible to keep the track of the operations on the shop floor and bring it to the notice of the concerned person, if something goes wrong. He works as an assistant to the shop floor manager and his main duty is to get the things done. They get their position by the virtue of experience in the job instead of through formal training. They do same tasks as supervisors do under the shop floor manager. They teach others how to perform a task correctly and efficiently. They read and follow designs or sketches. They can suggest changes if necessary. They contact private vendors for machinery and equipment. They also are the point of contact when working with other departments or agencies outside the organization. They are the members who make things happen. The workers are responsible to get the things produced by assembling, tweaking and turning, sorting, packing and getting ready for distribution. The workers directly handle tools and machines to manufacture the product. They are the workers, who are expert in some specific function. They are a part of workers team. They need to undergo training on operating a machine or learning a skill. They also need to take basic education formally. Take the staff training as a constructive event instead of looking at it as a machine downtime period and loss of production. Develop a collection of knowledge bank what includes training resources such as videos, recorded seminars, books and instruction manuals. Let the staff members access the knowledge bank easily. Develop a training course structure as per the staff’s cognitive level. Contact outside training agencies for training his staff on special purpose machines or simulators. What Happens When a Shop Floor is not Organized? Following are some of the most common consequences of an unorganized shop floor. The workers don’t find tools and equipment in place. The equipment or machinery start losing on their health. The shop floor space, working time and effort are wasted. Furthermore, it becomes difficult to quantify the waste. Material or ready product becomes prone to damages. It creates danger of accidents. The 5-S program is a methodology to make the shop floor activities leaner. It was developed in Japan to empower the Just-in-Time (JIT) manufacturing. 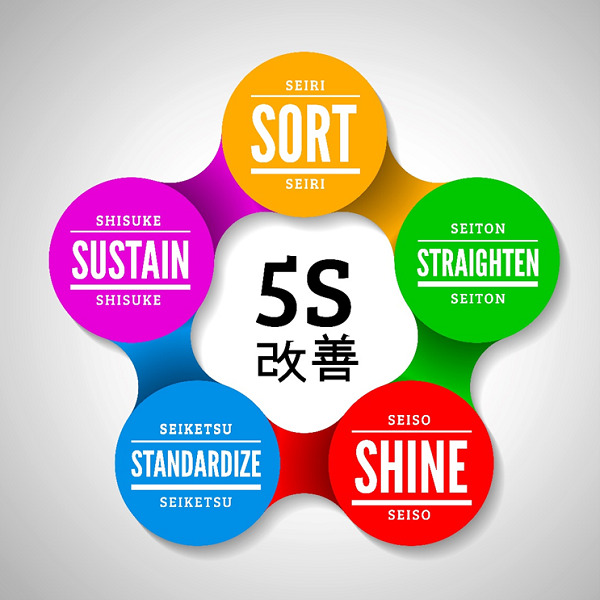 It includes five Japanese words depicting the guidelines to keep the shop floor well-organized with minimal waste and maximum efficiency. Remove all the parts which are not in use. Reduce or eliminate obstacles in the workplace. Place unnecessary items that cannot be removed immediately in the red-tag area. Prevent accumulation of unnecessary items in the work area. Avail only as much material as required for immediate work. Establish common area of exchange for tools and information. Arrange all the necessary items thematically for ease of availability. Keep the tools at its proper place after use. Keep the tools in the proximity of the work station. Maintain safety while moving tools and equipment. Place all the frequently used components and parts nearest to the work place. As per the set cleaning frequency, clean your workplace. Prevent deterioration of tools, machinery and other equipment. Keep the workplace safe, easy and pleasing to work in. When in place, anyone not familiar to the environment must be able to detect any problems within 50 feet in 5 secs. This means following the best practices consistently. Identify and establish best practices in the work area. Regulate best working practices among staff members. Establish workflow when sharing of tools, equipment and other machines. Assign who is responsible for which activity. This means maintaining the above four guidelines without being told. Allow some time to get into best work practices. Empower with result-oriented training sessions. Improvement in staff productivity and efficiency. Improvement in cooperation and positivity among staff members. In the next chapter, we will discuss in detail regarding the crucial safety aspect of a shop floor. Working safety may get old and so do those who practice it. There are numerous tools, equipment and heavy duty machines on the shop floor. The shop floor staff encounter these daily, exposing themselves to the threat of accidents. There is another saying, “A wrong tool in the right hands is far better than the opposite.” Apart from the unforgiving machinery, equipment and tools, it is sometimes the carelessness or bad intentions of a human who handles them. Let us understand in detail regarding shop floor machinery, tools and safety. A shop floor keeps several sharp tools for cutting, pressing, filing, fixing, etc. It keeps electric equipment for various assembly types such as welding or soldering. A shop floor also has machines with running belts and wheels, revolving shafts, couplings, spindles, lifting and moving machines along with their attached moving parts. These machines can pose a threat of hurting their operators if proper care is not taken while working with them. To keep oneself safe from the threat of getting hurt, the workers need to possess thorough knowledge of operating the machine. Fixed guard − It is a mechanical guard, which is fixed on the machine. It prevents access to the dangerous parts of the machine. It is a reliable guard with minimal maintenance. Interlocking guard − It can be a mechanical, electrical, pneumatic or the combination of all. It is designed in such a way that the machine cannot start if the guard is open. It is very useful where feeding of raw material and withdrawing of products is required on regular occasions. Automatic guard − It is used on machines which need manual feeding of materials such as drop hammers. The automatic guard moves at a faster rate than the point of operation. It is suitable for those machines working with rhythmic actions with the gap of a couple of seconds in its recurring operation. It is not good for high speed operating machines. Trip guard − It consists of a grid or frame connected to a mechanism, which can stop the machine by applying a brake. Trip guard can also come in the form of photoelectric curtain between the dangerous part of machine and the operator. Safety Helmets − It comes with a plain or with a transparent face shield. The face shield under every circumstance guards the face while welding, cutting or performing similar operations where tiny pieces of material are expected to chip off. They also come with a detachable head lamp that helps the worker to see if there are any dark spots. Safety Shoes − They come with closed toes and a thick sole, which make the grip of the feet firm on any surface. They protect the feet from potential injuries on the shop floor. Gloves − The gloves protect the palms and hands while a worker is assembling the metal parts by welding or cutting metal using the revolving saw. They also protect the workers’ hands from harmful substances and chemical or any thermal burns. Industrial Jacket or Coat − The industrial jackets or coats are thick and bright-colored. They are made of canvas, rubber or some other material that resists fire and chemicals. They are available in various lengths. Hearing Protection − It comes in a form of ear plugs to as sophisticated as a pair of caps with a headband. 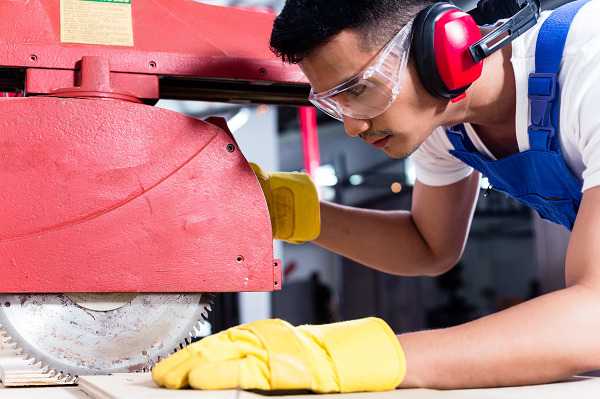 It is the most important protective ware that saves the workers’ vital sense of hearing. Protective Goggles − It comes with adjustable frames and anti-fog glasses of various colors. It is made of scratch resistant material such as polycarbonate for increased durability. It saves another vital organ, the eyes from burning or getting hurt in any way. It also protects from vision impairment due to continual exposure to bright light. Dust Mask − It is made of cotton. It protects the worker’s respiratory system from airborne particles created at the time of grinding and drilling. Emergency Stop Control − It is a control mechanism to halt the operating machine completely. This stop control overrides all other controls to stop the machine. It also needs a separate mechanism that can start the machine again. Install mirrors and appropriate warning signs at critical spots. Maintain flooring in good condition, preferably anti-slip. Store inflammable material away from ignition sources. Keep aisles and fire exits from obstructions. Wearing protection wares such as helmets, goggles and shoes irrespective of working or not. Wearing no sandals or slippers, only closed-toe shoes. Cleaning, repairing or oiling of machines must be done when they are shut down. Cleaning chips and metal particles scattered from machines only with brush, never with fingers. Wearing appropriate clothing on the job. Checking the machine condition before starting it. Not operating any equipment unless having an absolute idea and authority of operation. Not trying to remove foreign objects from eye or other body part. Not wearing ties, loose clothes, long hair or dangling jewelry around moving or rotating machinery. Not working when tired, in hurry, or unhealthy. Not operating any machines without guards and shields. In the next chapter, we will discuss in detail regarding the IT and Automation aspect of Shop Floor Management. Automation and Information Technology has brought sophistication in the manufacturing sector. Control systems such as robots, automated vehicles and machinery help to speed up the production. The work stations on the shop floor, entire manufacturing enterprise, vendors, suppliers, partners and customers are linked together with the help of IT. Information Technology can integrate the automation technology with manufacturing process to bring out lean manufacturing. Let us understand in detail how IT and Automation affects Shop Floor Management. What is Shop Floor Automation? Shop floor automation is defined as the introduction of using automatic equipment or systems on the shop floor. It uses control systems such as robots or automated machines to perform any task in the chain of production tasks. What is Shop Floor Automation Infrastructure? It is a huge collection of procedures, shop floor building(s), machinery, assembly lines, wired or wireless networks, programmable logic controllers (PLCs) and interface devices linked to each other to contribute towards shop floor automation and production. Unwillingness to change − It is a major challenge in changing the shop floor because the shop floor itself is complex in nature. 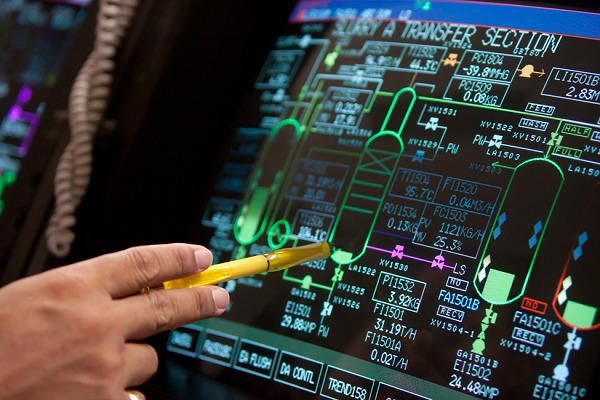 To connect various machines and equipment that perform specialized actions is a difficult task. Finding a common language − that multiple machines can share. Developing the protocols − to share data among various machines and equipment. Acquiring data from numerous devices − in real-time and compiling it into readable and actionable format. Improved Productivity − Shop floor automation enables the manufacturing enterprise to run the shop floor 24X7. This leads to significant increase in the productivity of the enterprise. Improved Quality − Automation eliminates errors which human beings can do. In addition, the automatic systems do not get tired hence products with uniform quality can be manufactured at different times. 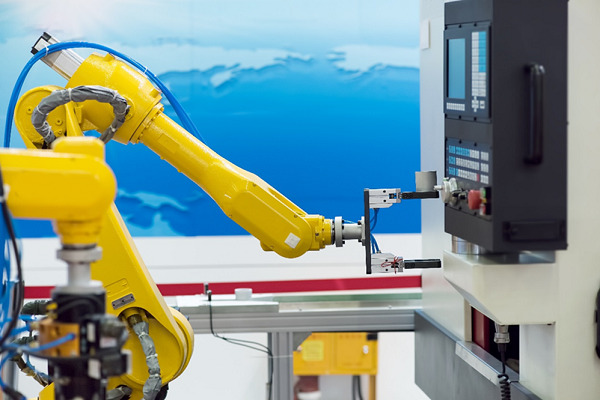 High Flexibility − Adding any new task in the production line requires training of the operator, but the robots can be pre-programmed to do any new tasks. This feature makes the manufacturing process more flexible. Ease of Data Collection with High Accuracy − The shop floor data can be collected easily with an automatic data collection system supported by IT. It also eases decision making by providing highly accurate, reliable, and actionable information. Higher Safety − The most dangerous machines on the shop floor can be automated, so that there is less threat to humans. In addition, robots also can perform the dangerous tasks instead of humans. High Amount of Investment − To procure machines with adequate degree of inbuilt intelligence needs high amount of capital investment. The amount of investment to train the employees to the automatic system is also high. Efforts of Tuning − The efforts required to tune the automatic system to the traditional processes and operations needs time and efforts depending upon the complexity of the shop floor operations and the range of variables required to be measured. The shop floor IT endeavors to connect machines, people, and information together. It facilitates excellent control over communication and processes in the manufacturing environment. IT helps to fetch real time information from the processes and arranges in a readable format. This information is vital for taking corrective actions, making accurate decisions, and providing satisfactory products to the customers. Thus, IT can turn a manufacturing business into an e-business. There are many shop floor/factory management tools available in the market today. Some of the most popular IT solutions for shop floor management are listed below. It is a web-based solution designed to meet the manufacturing requirements. It can let the user configure the solution as per their requirements. It can allow a user to set alarms, track the production process and schedule the shop floor operations. It provides transaction of operations and inventory at each step. It records information generated on the shop floor in a 24x7 environment. It is a cloud-based application capable of optimizing production sequence management and replenishment management of material. It shows real time machine availability, quality, and performance, operator efficiency and man-hours, as well as the number of unit products planned versus completed. These solutions are intended to calculate cost of every production exactly and minimize the expenditure on raw material and labor costs. It caters almost all phases of shop floor operations right from purchasing material up to delivery of products. It enables users to monitor the status of each production line at every time.